I drank some serious juice down in Guatemala. There and all though the tropics you can get really fresh fruit and vegetables. In Central America you can get juice in restaurants, on little stands in the street, or sometimes even from people walking around with little carts. 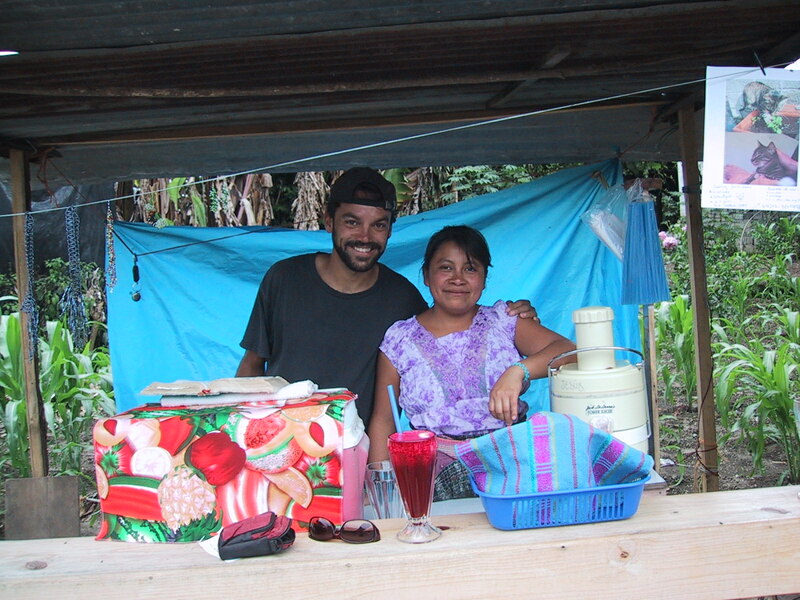 In the little village of San Pedro on Lake Atitlan, a high altitude lake surrounded by volcanoes and jungle, I had juice with Angelica every day at her little juice bar on the dirt road outside of my hotel. She was talkative and had patience to listen to my bad Spanish. Over the course of two weeks, I went from drinking orange juice and other things I was familiar with, to trying everything she had. Pitthaya (dragon fruit in English), for example, is outstanding and worth the high price if you can find it. But the best juice, the one I now make at home with my juicer, are mixes with beet juice. The most basic is simply beet and carrots (pure beet juice is possible but a little strong). I usually use one whole beet and six to eight carrots. Adding an orange to this mix adds a little more flavor. Usually Angelica would add a slice of pineapple as well. But then last summer I went back to San Pedro for my third visit. This time I had a cold, and so did Angelica. “What do you recommend for a cold?” I asked. To the beet/carrot/pineapple she added a few cloves of garlic and a slice of ginger. She didn’t peel the ginger, just washed it. Both of these combined packed quite a punch. I recommend if you make this at home, don’t add garlic unless you are sure you will be staying in that night. It will make your breath just awful.